Sharks in Las Vegas??? I didn’t search the interwebs before going and, to be honest, I wasn’t really expecting much. 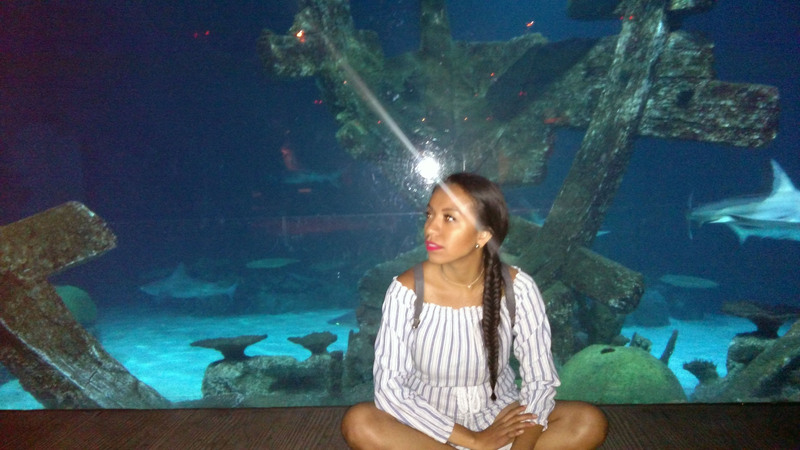 Vegas is in the desert…so how in the world is there a Shark Reef at the Mandalay Bay?? Well, there is one…and it is AMAZING!! Image Source from Mandalay Bay website. I apologize for the low quality shots in this post. I used my phone, but I had to share them with you…they are still breathtaking. 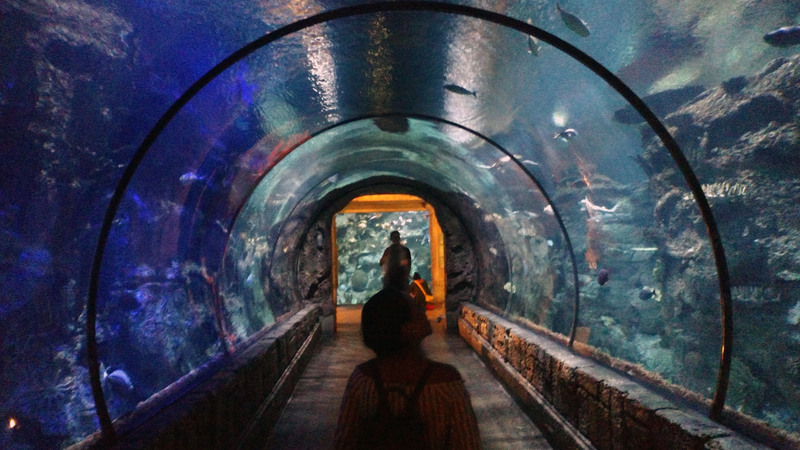 I definitely recommend you searching more photos online or better yet, visit the Shark Reef on your next Vegas trip! 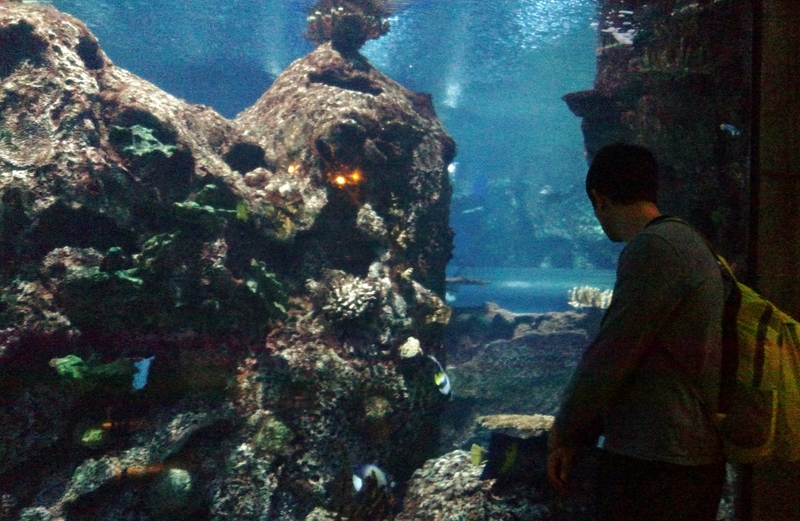 It doesn’t take long to get to the giant aquariums that make you feel like you’re standing in the middle of the reef. Click on the photo to see a two-second video of a shark swimming! 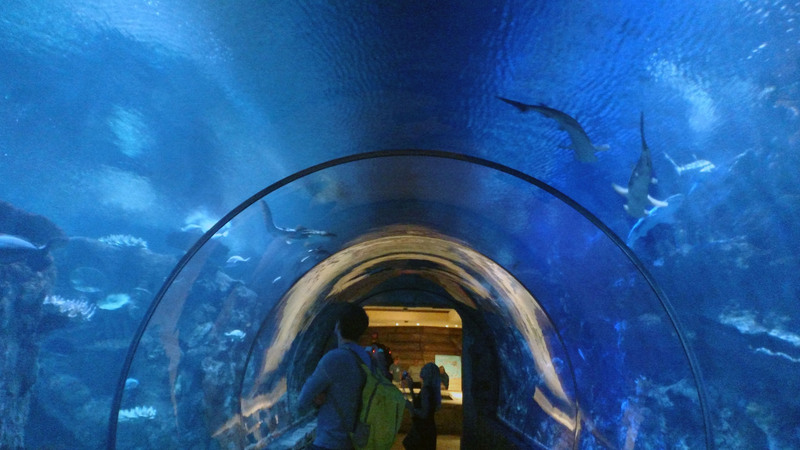 The tunnel…probably the most photographed in the aquarium. Though it is wonderful…the length of it is a lot shorter than pictures make it seem. Past the tunnel, you’ll get to the stingray feeding area…and past that, columns of different fish like these little guys swim. 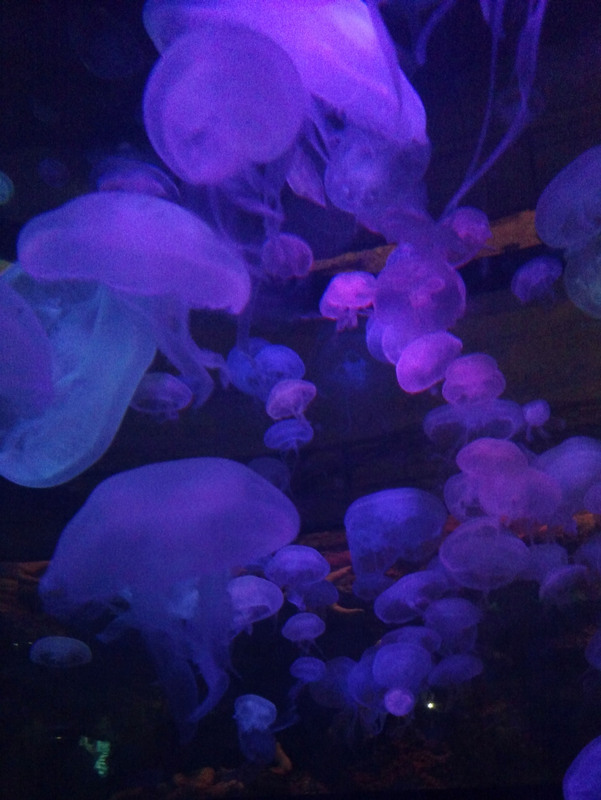 I have this weird obsession with jellyfish. I know it would hurt like hell to be stung by one, but they’re just so magical to me. Walking break in the shark feeding area…can you tell I’m wearing a fishtail braid? 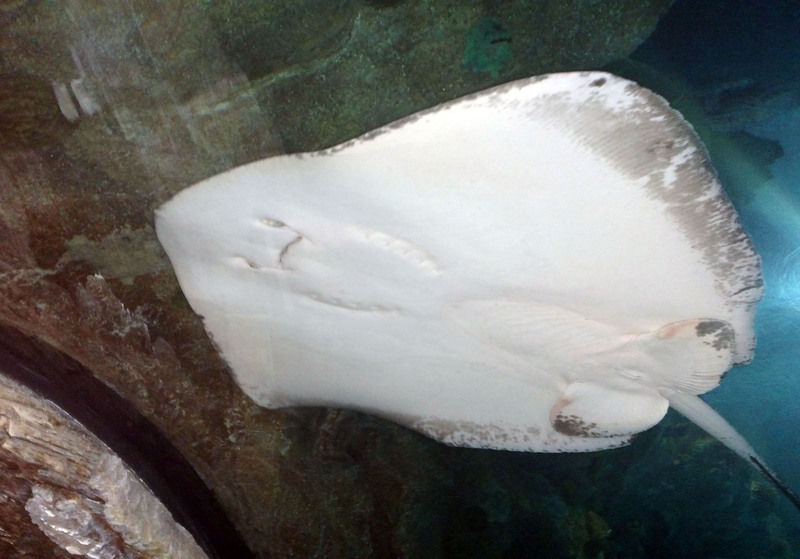 Adios, little stingray…don’t worry, I’ll be back. And, with a better camera! 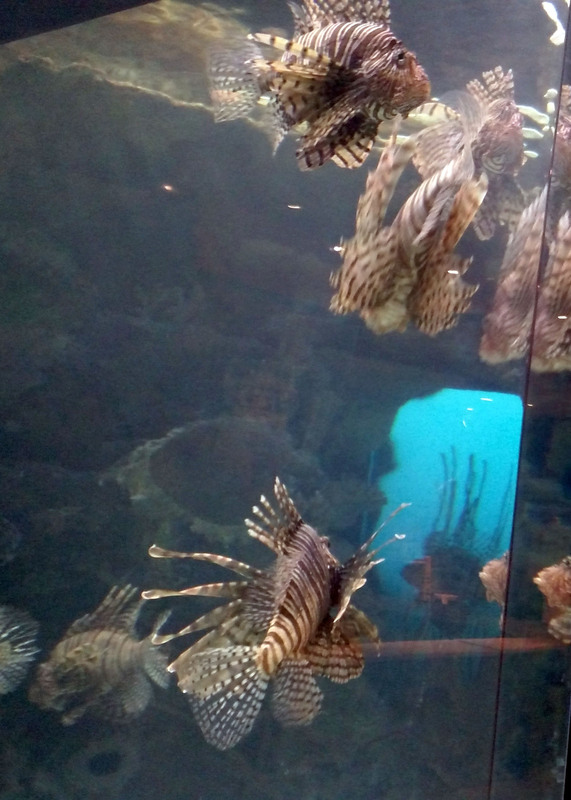 What are your favorite aquariums? Any favorite Vegas spots? This is really cool, I didn’t know it existed and will have to check it out the next time I’m in Vegas. Like you, I have an obsession with jellyfish, such fascinating creatures.